After spending time organizing your shopping trip for maximum savings, your work is not quite done. The final and most important step is to review your receipt. There’s no benefit in shopping smart only to find out you did not receive a sale or promo price. (Grocery stores often express pricing errors are due to computer systems not being updated.) While statistics are difficult to find, it happens to shoppers every day and they have no idea because they’re too busy to review their receipt. Maybe, it’s even happened to you. Rarely, an item is simply tagged with an old or incorrect regular price — but it happens. Another common mistake is getting charged twice for the same item. Today’s scanners are extremely sensitive, so an unfocused clerk can easily scan an item twice without even knowing it – especially on large shopping orders. The most frustrating errors are the promos or specials, such as “buy this, get this for free” or “buy three of these, get additional savings.” These seem to be the offers of which I have the most trouble, namely because employees are unaware of the details. It’s always helpful to have the ad in-hand or picture of the promo sign on your phone. It’s also important to ensure you receive the proper pricing on clearance and “manager’s specials.” You’d be surprised at the number of times I’ve been charged full price. While customer service is usually good, when dealing with pricing errors, it can become frustrating and time-consuming – especially if you don’t resolve the problem immediately. 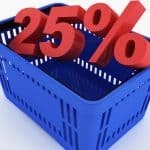 If you go back a few days later (or, even worse, a week later), you’re likely to have more of a challenge – as sale prices have changed, tags have been removed or promos have ended. 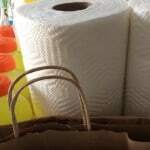 All of this makes it more difficult for store personnel to verify the price. The quicker you address the problem, the better the outcome. Checking your receipt immediately upon check out is wise because not only is your memory fresh, but, if you find an error, you don’t have to spend the time and gas going back for resolution. It can even pay off, as some stores have a “scan guarantee policy.” If an item rings up at a higher price than tagged or advertised, they’ll give it to you for free. 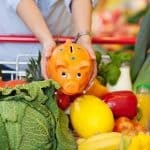 Your greatest savings will always come from being a smart shopper in the grocery aisle and receipt watcher. 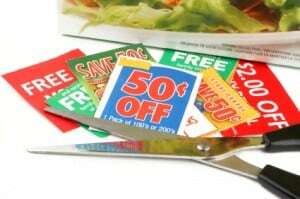 Living On The Cheap is a great source for manufacturer’s coupons. 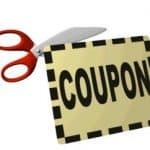 Companies offer new coupons often, so check back often for more savings. Thanks for writing this article. I am obsessed with checking my receipts. I agree it is a almost a weekly problem. I love being able to add electronic coupons but they are not error free either. I had an offer for a free drink and I noticed I was charged $2.50 for it. I went to customer service right away and asked if wrong flavor? She said no, we are just having problems with that promotion. You wonder how many thought they got it free and never bother to check. I appreciate you writing about this and hopefully it will help others to pay more attention!